Properties in Pennsylvania average 4.7 out of 5 stars. Historic Reinholds Townhouse in Peaceful Location! Property 21: Historic Reinholds Townhouse in Peaceful Location! *HOLIDAY SPECIAL * NEW SNOW - 4 MIN WALK TO SLOPES TO SKI !! Property 24: *HOLIDAY SPECIAL * NEW SNOW - 4 MIN WALK TO SLOPES TO SKI !! Property 28: Beautifully furnished mountain house! Chic Pittsburgh Townhouse w/ Patio & Fire Pit! Property 30: Chic Pittsburgh Townhouse w/ Patio & Fire Pit! 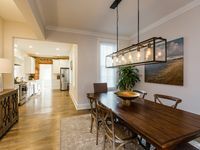 Rosey’s Guest House-a beautiful townhome in Lititz with tons of space and style! Property 32: Rosey’s Guest House-a beautiful townhome in Lititz with tons of space and style! True Ski in/out 3 BR/3 Bath Seven Springs townhome for family/group of ten! Property 33: True Ski in/out 3 BR/3 Bath Seven Springs townhome for family/group of ten! Property 35: Couples getaway retreat! Property 37: Mountain House Getaway! Property 43: The Perfect Destination! Property 44: Location Location Location! Centrally Located To All The Best The Poconos Has To Offer! 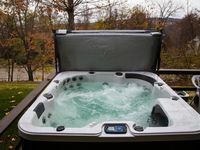 Property 46: Centrally Located To All The Best The Poconos Has To Offer! Stay here for YEAR ROUND family fun! Property 49: Stay here for YEAR ROUND family fun! 1958 South Ridge, AC, Short Walk to Pool & Playground! Free shuttle to slopes! Property 50: 1958 South Ridge, AC, Short Walk to Pool & Playground! Free shuttle to slopes! Nice updated place to stay. Nice place to stay! Convenient shuttle to the lodge and close to nice little shops and wineries. Stayed at this lovely home for 5 nights. We loved this home. The house itself has been beautifully updated and is clean and is stocked with everything one could need. Plus, everything works. It is roomy and has a great outside deck on the second level. The bedrooms are large and the master suite on the 3rd floor is massive. The location is right downtown. You can pretty much walk to everything including numerous restaurants. The best recommendation I can give is the next timer we visit Lancaster this is where we will stay. Thanks to Nate and Becky for making their home available.